The transport infrastructure sector is the fastest expanding component of the country's infrastructure sector. India has the second largest road network in the world. 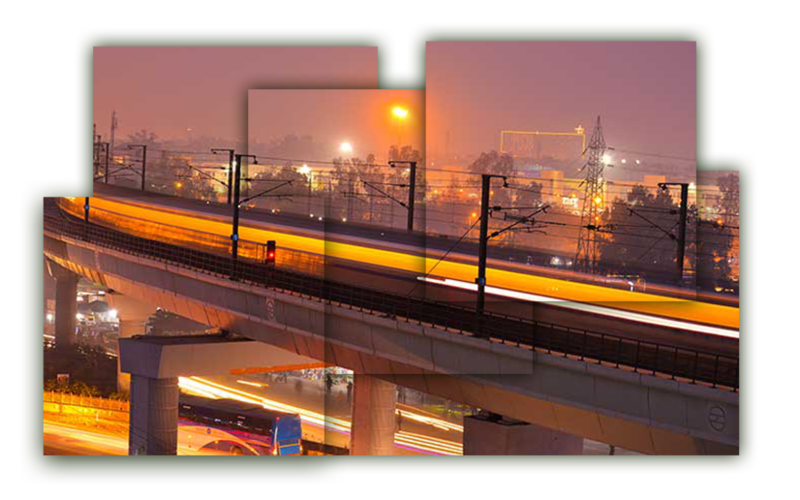 An efficient transport infrastructure helps revive the Indian economy and boosts productivity. 100% Foreign Direct Investment (FDI) is allowed under the automatic route in the road and highways sector, subject to applicable laws and regulation. Roads are the backbone of the transportation sector in India. Foreign Investment can contribute to economic growth by not only providing foreign capital but also by crowding in additional domestic investment. Technology plays a crucial role in the transport infrastructure sector. FDI results in technological development and the exchange of knowledge and advanced skills. 95% of the total share of this length is covered under District and Rural roads. State highways cover close to 3% of the road length while the remaining 2% comes under National Highways. 1,17,000 km and growing National Highways act as a backbone of the freight and passenger traffic and carry over 40% of traffic. 261 four-lane projects with a total length of 14,268 km amounting to USD 28 bn are presently ongoing. The Indian roads carry almost 90% of the country’s passenger traffic and around 65% of its freight. The government has earmarked 20% of the investment of which USD 1 tn is reserved for infrastructure during the 12th Five-Year Plan (2012–17) to develop the country's roads. 2. March 2018 - Sydney based infrastructure asset management company, Macquarie won the rights to manage 648 km of national highways for USD 1.45 bn. 3.December 2016 - Spanish infrastructure firm Abertis Infraestructuras SA has agreed to buy two operational toll road assets in south India from Macquarie Group Ltd for about USD 150 mn. 4. August 2016 - A consortium of investors led by Goldman Sachs Inc. has agreed to invest USD 220 mn in Essel Highways, the road infrastructure holding company of Subhash Chandra controlled Essel Group. 5. December 2015 - I Squared acquired 100% of Jaipur Mahua Tollway Pvt Ltd (JMTPL) from Malaysia-based IJM Corporation for about USD 85 mn. 6. August 2015 - Brookfield Asset Management made its first significant investment in Indian infrastructure, buying six road and three power projects from Gammon Infrastructure Projects Limited for USD 1 bn. 24.67bn FDI inflows (in USD) during April 2000 - December 2017 for Construction development: Townships, housing, built-up infrastructure and construction-development projects. 599mn FDI equity inflows (in USD) from 2014 – 2017 for Construction development: Townships, housing, built-up infrastructure and construction-development projects. 100% FDI allowed under automatic route.